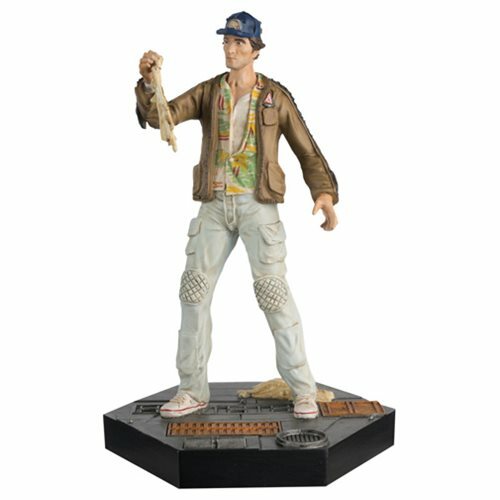 Brett from the unforgettable sci-fi film Alien joins the Alien and Predator Figurine collection! Sculpted and cast in terrifyingly realistic detail at 1:16 scale, this Alien and Predator Aliens Brett with Collector Magazine #24 is specially formulated metallic resin and painted by hand. Fans will also recieve a collector magazine. Brett measures about 5-inches tall in terrifyingly realistic detail at 1:16 scale. Ages 14 and up.